Hello strangers and welcome to one of the biggest mash ups the 360 has ever seen. Don't believe me? Minecraft 360 has sold more copies than whiskers on my cat o' nine tails and Skyrim is considered one of the best games of this generation. 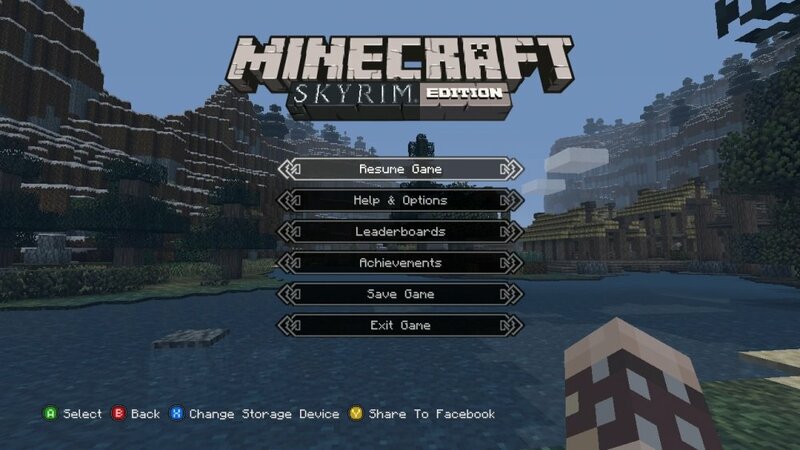 Together they become Minecraft Skyrim Edition, out today. The pack consists of 40 new skins and 20 tunes from Skyrim. All of a sudden your Minecraft world can look like Riverwood or any of the other generic sounding fantasy places from the Elder Scrolls games. The DLC pack is being rolled out today, starting with the UK. It will set you back $3.99/£2.69/€3.70 depending on which region you have lay your sword.